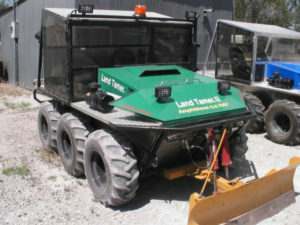 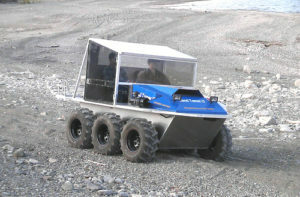 The 6×6 XHD is known for its agility and has ideal maneuvering capabilities. 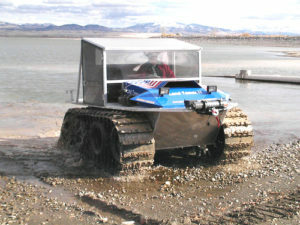 You will have no problem taking this vehicle in challenging off road conditions. 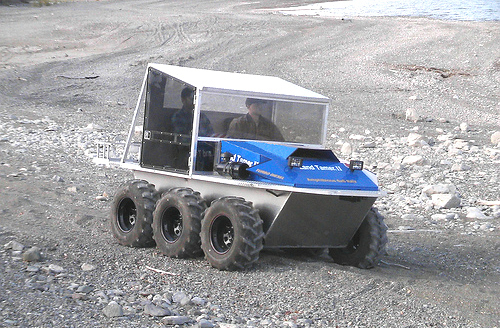 This 6×6 amphibious vehicle is designed for remote access travel for 2-4 people. 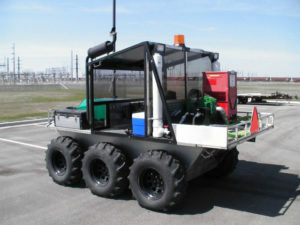 The standard cab configuration encloses the driver and passenger, but can be optionally configured to handle 2 more passengers in jump seats behind the front seats. Of course it is fully amphibious like our other vehicle models, and comes with hydraulic quick disconnect couplers on both front and rear of the vehicle which allows hook up to our optional Water Propulsion system or any category 1, 3 point hitch attachment. The 6×6 XHD is perfect for use as a runabout utility vehicle with room for tools and equipment on the cargo deck.